Orthopedics is the line of surgery and treatment, which gathers musculoskeletal system and treats the degenerative condition, trauma, sports injury, tumors and congenital issues. 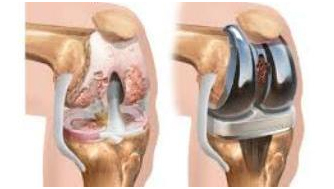 Carrying same concept Orthopedic surgery is the surgical treatment of diseases and injuries which affects muscle-skeletal system (a system which enables physical movement using muscles and bones).In the list of orthopedic surgeries common procedures are knee surgery, shoulder surgery, hip surgery and hand surgery. In any condition of the bone and joint disorders, fractures, related diseases, tears of muscles, ligaments, and tendons in all regions of the body. Sometimes, a patient cannot understand when he should visit an orthopedic surgeon? Patient must be having pain or discomfort but he could not judge that how much weighty the issue is? If an individual is facing arthritis, osteoarthritis. bone injury, fractures, joint replacement surgery, rheumatology, sports injuries, back and spine problems or surgeries, hip problems or replacement, a shoulder problem, replacement surgery, foot or ankle surgery, he should definitely consult an Orthopedic doctor or surgeon immediately. When a patient does not respond to the prior treatments, therapies or lifestyle changes than an orthopedic doctor may advise the patient for a surgery. Dr. Sourabh Goyal is one of the best Orthopedic surgeons in Jaipur. Hundreds of patients visit him for orthopedic surgery in Jaipur every month. Dr. Sourabh Goyal is an M.B.B.S gold medalist and M.S Ortho. He has done more than 14000 joint replacement surgeries and well versed with latest surgical techniques. Dr. Goyal says the aim of orthopedic surgery is to restore lost function in any part of the muscle-skeletal system, so that patient could return to their former way of life. We have spacious and elite joint replacement theaters, which are best in class. Our joint replacement theaters have class 100 laminar air flow operation theaters with body exhaust suites, this facility ensures zero infection chances and best results. Dr. Souabh Goyal is a well known orthopedic doctor in Jaipur and more prominently as a best orthopedic surgeon in Jaipur. Dr. Goyal has his own Hospital in Ahmedabad, but he visits his Jaipur branch every month. You may consider him as an emergency doctor for orthopedic in Jaipur. If you are living anywhere in Jaipur and trying to find No.1 orthopedic surgeon in Jaipur, you should consult Dr. Sourabh Goyal, best doctor in orthopedic surgery in civil lines.